This Dew Drop pendant is part of Tacori's Sonoma Mist collection. 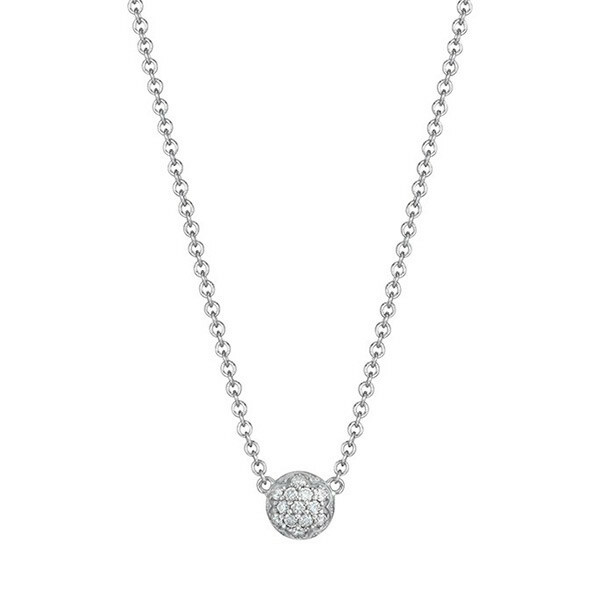 A single drop of sterling silver, embellished with white diamonds, sparkles from its placement on a thin link chain. This Tacori necklace falls at the perfect spot on your neck to wear alone or layer with other pieces.